Communications company Everything Everywhere is planning to hold a sales conference for global business leaders at Rockliffe Hall, in County Durham. Everything Everywhere will run the annual sales conference for 50 delegates from countries including the US, Australia, Scandinavia and Latin America in November. It is the second time Everything Everywhere – which provides mobile and broadband services through the Orange and T-Mobile brands - has held the event at Rockliffe Hall, near Darlington, following its success last year. Everything Everywhere’s head of M2M Mark Owen – who plans up to three business events each month at Rockcliffe Hall - said when he first decided to take the conference outside London, he was initially met with "reticence". "Last year there was a lot of reticence to not being in London, but by the end of the first day, there wasn’t one person who didn’t want to go back to Rockliffe," said Owen. "The conference is very important for us in creating the right message and experience for delegates, and we have to make every single penny count. We can’t afford to be frivolous. The venue has become almost an extension of our business." 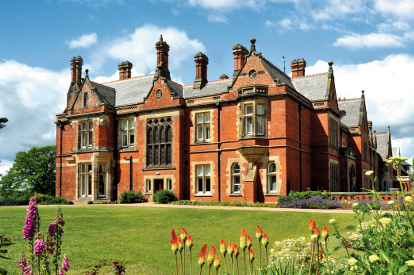 The two-day November conference is set to be held at the five-star Rockcliffe Hall’s Clubhouse, and will include seminars and workshops, a formal dining experience and the chance to enjoy the hotel’s spa and golf facilities. "We run a diverse range of meetings every month, including small events such as internal work groups, which are massively important for us," added Owen.